Muhammad Sajad Ali is a Sufi webmaster and Instructor known for this famous website www.deenislam.co.uk and has a two comprehensive Sufi blogs, his latest is the Sufi Synergy Healing Blog . 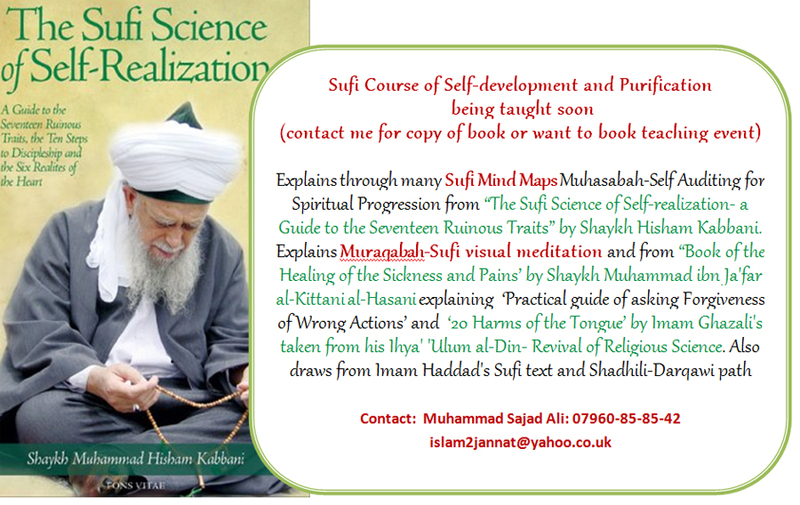 He is always keeping up to date with ongoing studies in healing has created a new method of healing by combining Herbal healing, Essential Oils, Meridian Psychotherapy and Energy Healing into a new Sufi Synergy Healing Course Method and the Founder of the Sadaqah service Uns Foundation UK. He already has completed Trauma Healing and is a qualified Energy Healing Practitioner and has helped many Muslims that need help from abuse and taboo issues and has also taught Sufi Mediation Therapy Exercises and has authored many Sufi articles and is famous online for this Sufi Mind Maps and has a unique way of teaching through His Sufi Mind Mapping technique approach. I know that the main audience that will be reading this are main Mawlana Shaykh Nazim mureeds so I will share those dreams that will help explain more about myself and some of ijazas. Recently a someone I know a Mureeda-female disciple which I give Naseeha-good advice and have helped with spiritual progression had a dream of me telling me that in the dream she saw me with my book it was my Islamic website and Sufic knowledge but all as a book I was there surrounded by people all busy rushing round all wanted to buy a copy to read it, as my book was filled with gems of Sufi secrets or understanding. She said after that I must write a book about my knowledge and Sufism. A few years ago I used to arrange global khatm was given ‘ijaza for Khatm of 70,000 plus kalima and salawat from Mawlana Shaykh Nazim from this another Mureeda-female disciple that I know and bought her into the Naqshbandi-Haqqani tariqah after she wanted to know who her Shaykh was so I wrote a dua–pray and made her read it. ( Dua for Finding your Spiritual Shaykh in dreams) the dua–pray is now a link on my webpage and many have tried and tested and have found it successful. That Mureeda-female disciple tells me she says a dream and there is a big banquet with food and tables all are busy decorating this very big hall and there Mawlana Shaykh Nazim is honouring me. I said it means that Mawlana Shaykh Nazim is please with the Khatm of 70,000 we are doing I remember in one of the years we did a 1 million kalima of Shaykh Abdullah Faiz Daghastani. When I went to Ummrah-less hajj which I have been there three times I travelled with Mawlana Shaykh Nazim mureeds, the journey would been in the month of Ramadhan we would visit and go to Damascus and visit all the holy Maqams-tombs of saints and that of all the holy Maqams-tombs of saints of the Naqshband-Haqqani Sufi Masters and then after go to Ummrah-less hajj, while on n the noble and holy city of the Holy Prophet (peace be upon him) I met the Great Qutb of Medina Shareef Shaykh Muhammad ibn Zakariya al-Bukhari Naqshbandi who gave me the full 'ijaza for Dalalil khayrat and giving 'ijaza for Dalalil khayrat. The Great Qutb Shaykh Muhammad Zakariya Naqshbandi was over the age of 120 years when I meet him and he taught Mawlana Shaykh Nazim who was one of his students. Then later in a dream this of 'ijaza-permission of Dalalil khayrat was stamped as in the dream I meet the blessed Grand-shaykh Abdullah Faiz Daghastani (the Shaykh of Shaykh Nazim) who was talking or confirming to Mawlana Shaykh Nazim about my 'ijaza of Dalalil khayrat and Shaykh Abdullah Faiz Daghastani was pointing to me said saying has the 'ijaza of Dalalil khayrat, has the 'ijaza of Dalalil khayrat, has the 'ijaza of Dalalil khayrat! I then turned my head and I see the Noble Prophet of Allah peace be upon him looking at me pleased it felt as though it was being sealed and was stamped Allahuakhbar. Late when I meet Habib Kazim Jafar Muhammad al-Saqqaf he added his of ‘ijaza Dalal il khayrat and gave Burdah - 'ijaza too. And Qadiri Masters of Nigeria gave 'ijaza of Al-Fuyudat al-Rabbaniyya-Emanations of Lordly Grace of Shaykh Abdqal Jilani’s which contain all of the his Awrad-daily Sufi prays. Sometime later I related this dream to (Qari Abdal Qadir Naqshbandi-Mujaddid ) a family member of Naqshbandi-Mujaddid Kareemi Tariqah Eid Gah Shareef and from Qari Abdal QadirNaqshbandi-Mujaddid Kareemi, who after heading this dream was so overjoyed in a Hal- state he took my hand suddenly and said I give full ‘ijaza in all Naqshbandi, Chisti, Qadiri, Suhrawardiyya and Shadhili tariqahs to you. When I meet Shaykh Hisham Kabbani he gave me 'ijaza in Murqabah- visual meditation which I was first given from the Qadiri-Noshahi Sufi Masters. I have taught Murqabah to Mawlana Shaykh Nazim mureeds-disciples that cannot connect with Mawlana Shaykh Nazim and that have been mureeds for years. 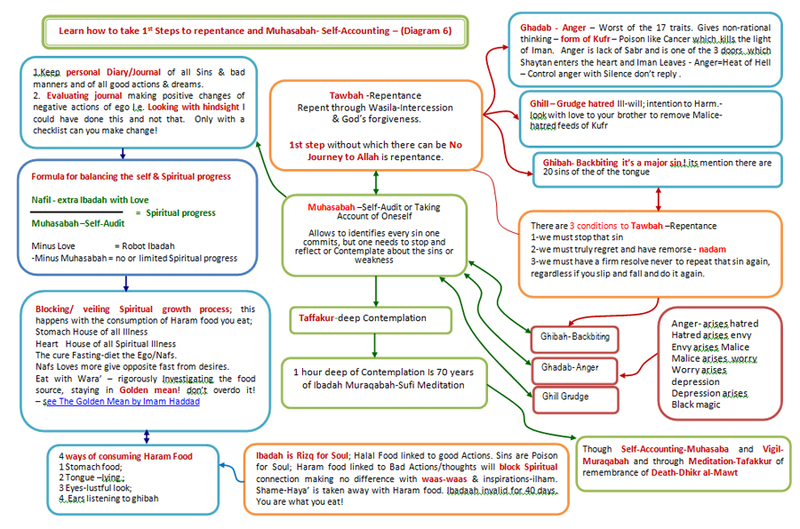 One story I was talking to a Haqqani mureed over the internet live while talking giving a lesson how to attain and connection he was never able to before to connect or understanding the secrets of Muraqabah- visual meditation . So within 5 minutes he was connected and felt Mawlana Shaykh Nazim inside himand asked who I was how was and was I a Shaykh and so many other questions, all to which I didn’t answer him out of humbleness. 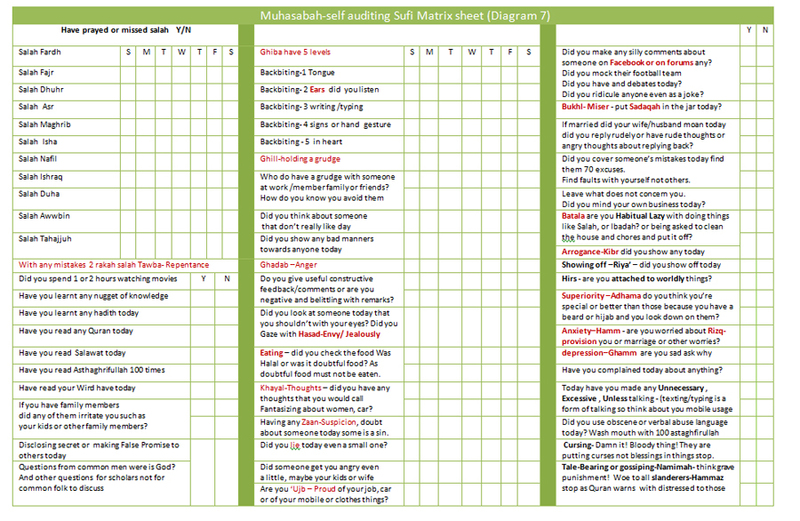 I simply explained the Sufi Science of Murqabah - Sufi science of Muraqabah -visual meditation . It’s more like visualisation/image practice based on the Name of Allah or the deep visualisation or watching of the Sufi Master’s face. 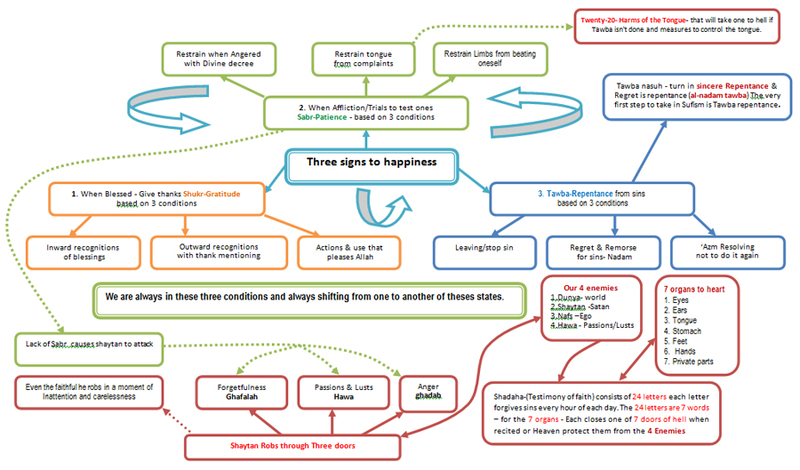 The Sufi Term Fana fil Shaykh – ‘annihilation in the Shaykh’ or trying to attaining to this level will be explain later. While studying I came across the largest salawat book compiled and written its 5 huge volumes in size written of a period of 12 years called Majmu'ah salawat ur-Rasul by Khwaja 'Abdur Rahman Chohravi Qadiri. The book is intertwined with salawat and ancient Aramaic the language of Prophet Ibrahim (peace be upon him) and was dictated from the unseen world of ilm Ladduni – knowledge directly from Allah or knowledge of Khidr this knowledge cannot be learned through normal methods of teaching. The Grandson of the Shaykh who hand wrote the whole book at the time of by Khwaja 'Abdur Rahman Chohravi Qadiri gave me ‘ijaza and Sanad-Sufi Chain Transmission through him the grandson is Shaykh Muhammad Tayyib-ur-Rehman Qadri. The day I was given that ‘ijaza I had a dream were Mawlana Shaykh Nazim got of this blessed chair made me sit in his chair and said to me instruct to teach Shaykh Hisham Kabbani the book Majmu'ah salawat ur-Rasul. Once while reading the book I had a dream meet Shaykh Tahir Alauddin Al-Gilani who is from the purest descendents of Shaykh Abdul Qadir Al-Gilani he was teaching me from a golden Quran secrets after secrets. I will end it there with this abridge version my dreams and experiences, please note: some may ask or say as why I have shared this experience or think I’m trying to show-off. I am simply sharing this experience as a point of reference to those who are interested as such experiences are not shared as this deep and personal level also i would like to direct the reader to the experience that ' The Qutb Ibn 'Ajiba, the Darqawi Sufi Shaykh wrote in his " fahrasa," or autobiography , not for the pleasure of talking about himself but "to celebrate God's kindness'. I’m hoping to do this also but to inspire the readers and nothing else. I’m hoping to do this also but to inspire the readers and nothing else.Finally a dua which i wrote to help a Naqshbandi-Haqqani Mureeda from the US. ....The Test and obstacles began for almost five (5) months straight. I realized the Doors of Success were closed there seem to be no barakah-(blessing) for my work. 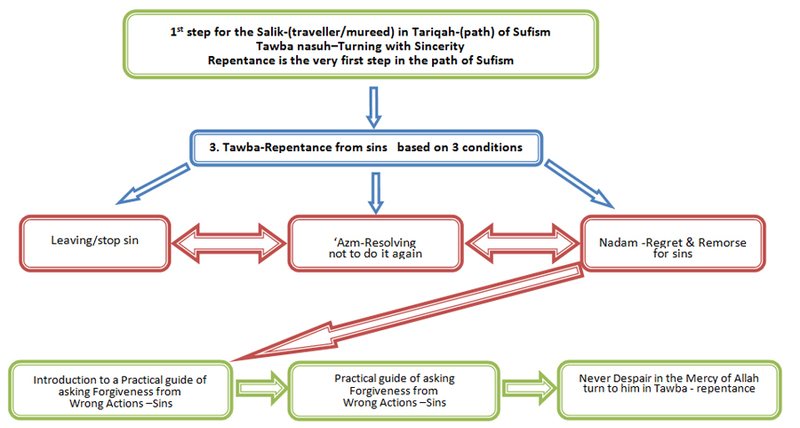 I asked myself, why wasn't I getting Tawfeeq-(success), so I asked Sajad Ali for a Dua or suggestions. As I was on Facebook I decided to send a message to my brother Sajad Ali in the U.K. to see if he could give me advice, as to how I can offset what I was experiencing. He suggested using Skype so we could talk. He gave me some Sufic Wisdom which quickly opened the doors of success, that had been closed for almost a half of a year, and the barakah-(blessings) I was looking for came from that dua Al Hamdulillah. After completing the dua and following Sajad’s instructions i was given barakah-(blessings) it was Allah who directed me to Sajad for the answer to HIS pleasure with the dua and instruction to open HIS door to me. I briefly told him about what I was trying to do. Have you ever heard the expression “brain storming”? Well my brother Sajad’s thinking goes well beyond that by Allah (swt). He said I needed to buy some sweet fruit to feed the homeless. In addition to that he began to put together a dua (prayer) for me to say. Once he completed the dua while still on Skype, he clearly said to recite it over the fruit, blow on it and feed the homeless. I made the niyat and the dua over the fruit. i made the dua 3 times before i made it over the fruit. Wow there is so much power in it. My arms, hands and chest felt it. My hands were so hot that the palm of both hands turned red. I was telling a sister about it today and i said bismilahi babun she repeated it and said wow i can feel it in my chest it's so powerful. This dua (prayer) includes the Golden Chain of the Naqshbandi Tariqat imploring for Allah’s help and the spiritual help of those who have returned to Allah, and of Mawlana Shaykh Nazim Adil Al-Haqqani Sultanul Awliya. This is the Dua (Prayer) that my brother Sajad Ali gave me. It helped me and can help anyone who recites it with sincerity.